The Livingstone Camp Memorial is located in the town of Livingstone, situated at the end of Kazimuli Avenue about 400 metres beyond the central police station at the corner of Akapelwa Street and Kazimuli Avenue and immediately adjacent to the entrance to Livingstone Golf Club. Akapelwa Street is a turning off Musi-Oa-Tunya Street, the main road through the centre of the town. 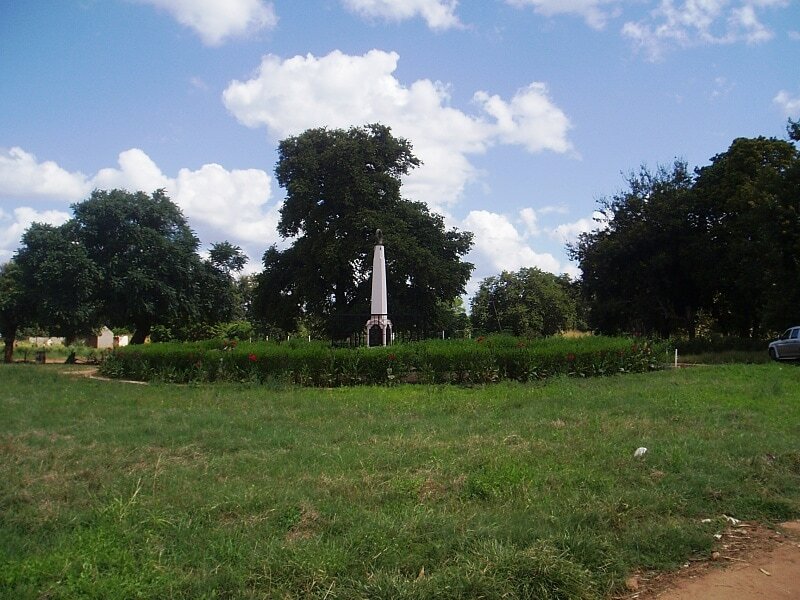 Officers and men of Rhodesian units who fell in the Great War and whose graves are not known, and the Northern Rhodesian native carriers who fell in the Great War and whose names and graves are alike unknown, are commemorated on the Abercorn, Livingstone Camp and Harare Memorials.